I was eager to share what I saw in morning circle, so I hurried into the house to tell my barely awake children. They were leaning on the table eating their granola. My eyes were wide with excitement and they looked up with soggy expressions. Their faces stayed the same. “Huh?” said my youngest. They were trying…but they didn’t really care. “Okay… I was talking to Eagle Spirit who was in front of me but if you had walked outside you might not have been able to see him with your eyes open…right? “No, no no,” I felt like my story was falling a little flat by now, the same way the granola was looking, but I kept trying, “I was talking to EAGLE SPIRIT who was telling me that my clarity was back… and then Eagle flew over!” How much more clear could I get? “Right…” they said flatly in unison. “Eagle in PHYSICAL form. They’re both real…”I countered. 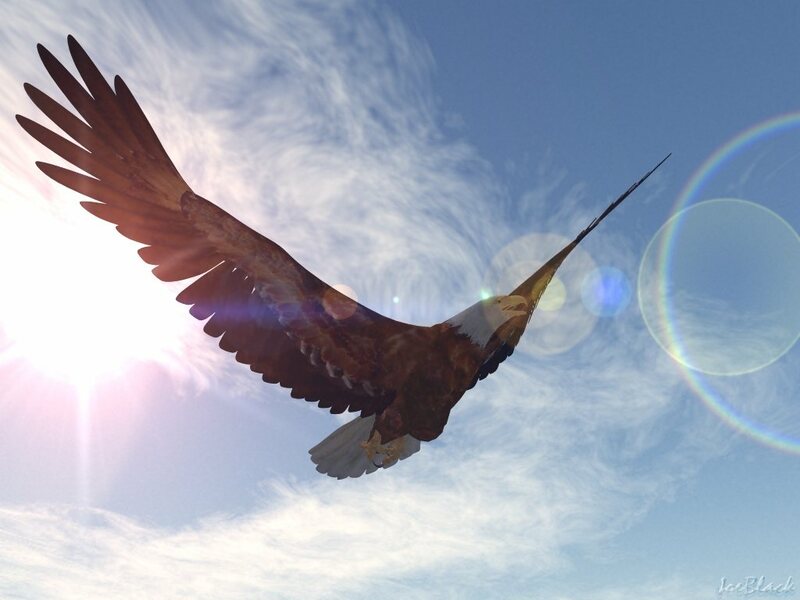 Take time today to fly over your life. Get some perspective on what is REAL.